President-elect Donald Trump yesterday named Gen. James Mattis, who also sits on the board of directors at failed biomedical startup Theranos, as his pick for defense secretary. Now the The Washington Post has emails that show General Mattis pushing for Theranos to receive a deal for a military field test from 2012 to 2013, despite the fact that Theranos’ devices were far from being FDA approved. Before the company unraveled, it was pushing a vision of breakthrough, low cost medical tools that could analyze blood and do complex analysis quickly and efficiently. Valued at $9 billion just last year, Theranos has crashed and burned since a series of Wall Street Journal reports revealed it was fudging blood test results from its flagship device, leading the company to throw out two years worth of results. This summer, Theranos’ CEO Elizabeth Holmes, was banned from owning or operating a medical lab for two years. The company is currently the subject of a criminal investigation by the federal government and is being sued by investors and Walgreens, its biggest partner. Since then, Theranos has shut down its wellness centers and laboratories, and laid off 340 employees. The emails obtained by The Post show how, despite pushback, Mattis personally pushed for Theranos’ blood tests to be used in the military. 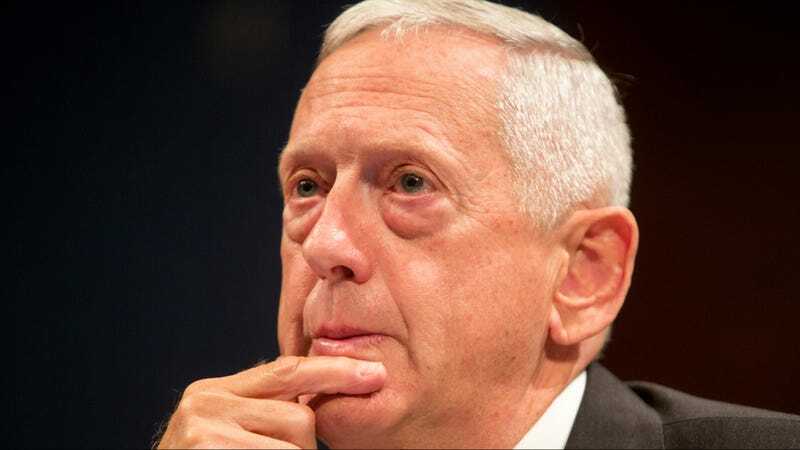 “I’m convinced that your invention will be a game-changer for us and I want it to be given the opportunity for a demonstration in-theater soonest,” Mattis wrote to Holmes. Holmes even emailed Mattis after a military regulatory review didn’t bode well for her company and asked that he intervene. After Mattis left the military in 2013, he joined the Theranos board of directors. Trump’s pick came the same day Theranos announced several high profile former government officials, including former secretaries of state Henry Kissinger and George P. Shultz, would be stepping down from its board of counselors. Judging by the emails, it seems like Mattis bought into the dream that Theranos was selling. He isn’t alone, of course. Investors poured hundreds of millions into the company, and major retailers like Walgreens launched a large scale partnership with the company. But now, as Theranos is being investigated by the United States for potentially misleading investors and government officials, the company has a new ally at the highest ranks of the government.